Annan Athletic are delighted to announce the loan signing of Motherwell defender David Ferguson. 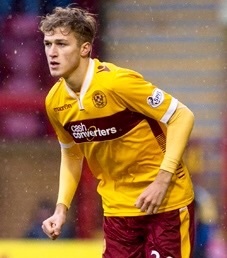 The 6ft 19 year old is comfortable playing across the back or in midfield and has featured for the Motherwell first team before going out on loan to Alloa Athletic at the end of last season. David will join us until early January.